Relax, you're driving a Renault TALISMAN. Featuring ergonomic seats and a wide range of innovative, high-tech equipment, your new-generation saloon guarantees exceptional comfort. Its generous interior space lets you relax and get away from it all. Discover a brand new driving experience! Combine comfort and optimal vehicle control. Access the MULTI-SENSE® menu easily from the screen of your R-LINK 2® multimedia system. 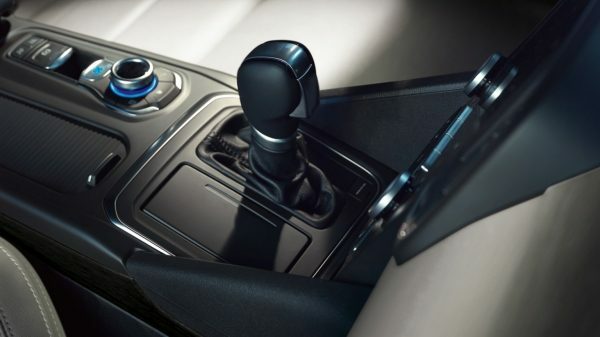 All you have to do is turn the rotary control located underneath the centre console to select a driving mode. A shortcut button can also be used to switch to one of two favourite modes. Opt for blue, red, green, sepia or purple - you choose! Coordinate the ambient lighting of your Renault TALISMAN with your mood or your tastes. You can associate a colour with each MULTI-SENSE® mode or disable this function. Discover comfort and driving experience tailored to your needs. Engine response, suspension settings, on-board ambience, massage setting of your seat... take control with Multi-Sense®. Take advantage of the on-board space. Ample headroom in the front and rear, airline business class-style front seats, generous leg room in the rear... The Renault TALISMAN offers you an exceptionally comfortable cabin. 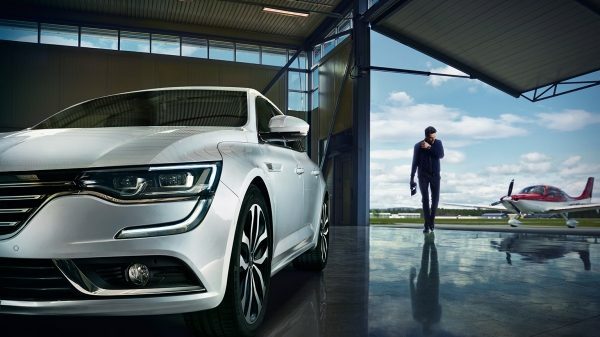 Come closer, the Renault TALISMAN recognises you. The daytime running lights come on, the cabin lights up, the door mirrors unfold and the ambient lighting comes on. The seats re-apply the most recently configured settings, whilst the driver is welcomed by an audible and visual animation on the touchscreen. Once you reach your destination, the driver seat slides back 5cm to make it easier for you to get out. 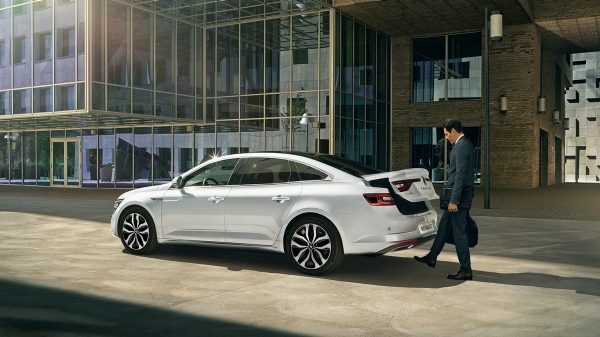 When you walk away from your Renault TALISMAN, the doors are locked automatically and the lighting signature is activated one final time. 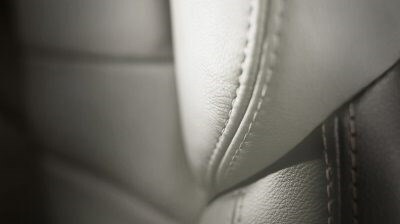 Perforated and quilted leather seats with air conditioning, ventilation, heating and massage function make your driving easier and fatigue-free. No more mist on your windows and your windscreen. 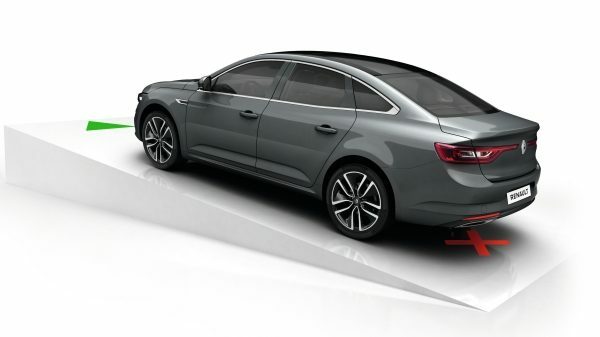 Renault TALISMAN's smart air conditioning system measures and controls the level of humidity in the cabin. 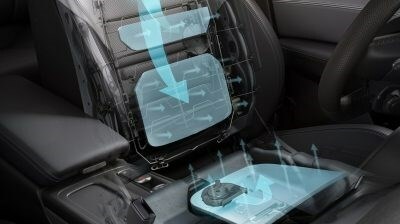 Automatic dual zone air conditioning including air vents for rear seats is standard. Manage the air vent system. Prevent unpleasant exhaust fumes, dust and pollen from entering the cabin when there is sudden rise in pollution in a tunnel or behind a polluting vehicle. Breathe healthy with the air recirculation mode. Enjoy optimum visibility. The electrochrome-treated rear-view mirror ensures you enjoy ideal visual comfort. 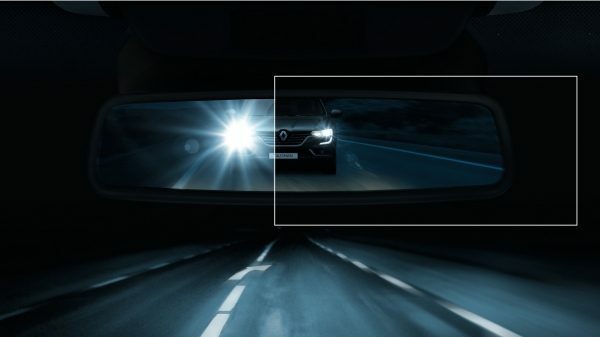 It darkens not only in the daytime when the sunlight comes through your rear windscreen, but also at night when the headlights of the vehicle behind are likely to dazzle you. 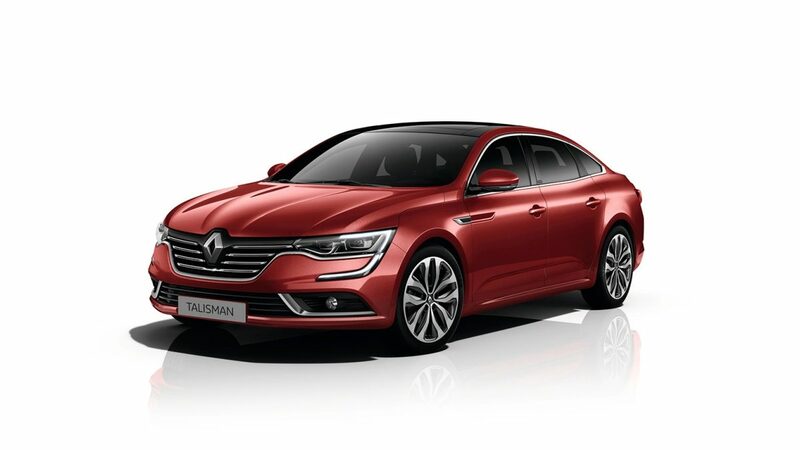 Practical and modular, the Renault TALISMAN offers you a wide range of storage solutions. In total, you have 25 litres of storage space spread around the cabin. Keep your drinks cool in its handy refrigerated compartment under the armrest. Take advantage of your every journeys to relax. The Renault TALISMAN's seats come with anti-whiplash head restraints designed to limit head and neck injuries. 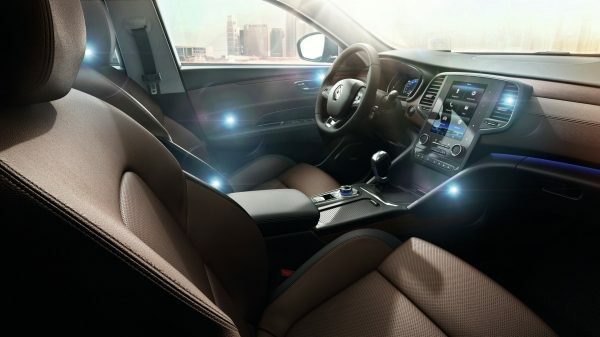 The driver's massaging seat instantly soothes you, from your lower back right up to your shoulders. Ventilated and heated, it delivers perfect thermal comfort, regardless of the outside temperature. It is electrically adjustable and can store up to 6 personalised positions. Discover the latest in on-board multimedia systems. 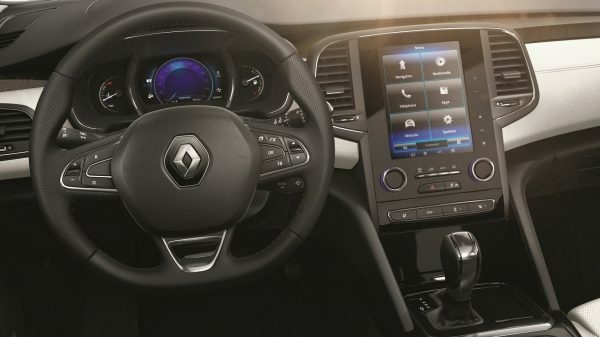 Seamlessly built into the dashboard, the new, intuitive and connected R-LINK 2® touchscreen tablet lets you manage all of the functions of your Renault TALISMAN. Thanks to R-LINK 2®'s simple and fluid interface, you can customise every aspect of your on-board experience using its 8.7” screen. Choose the colour for your control screens, the information shown and the display style. 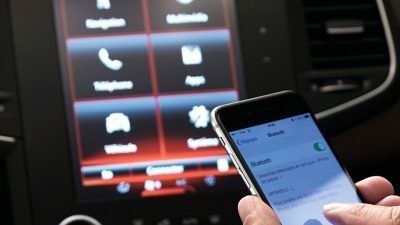 Whether it is the home page, the radio, the navigation system, air conditioning, the seats or the MULTI-SENSE® system, you can configure everything to create your own personal environment. You can save up to six profiles with just one click. 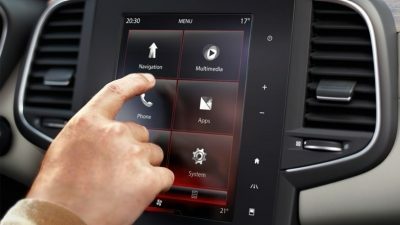 You can use the touchscreen or central control to access your own multimedia content, navigation preferences and driver assistance system settings. 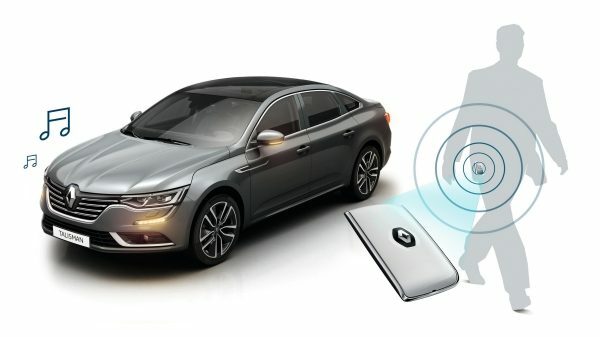 Your Bluetooth-enabled R-LINK 2® multimedia system connects to your smartphone as soon as get in your Renault TALISMAN. Recharge your mobile devices using the USB sockets available in the front and rear. Share your music using the USB sockets in the front, or use the SD card reader or Auxiliary input. For maximum safety, the multimedia system comes with voice control. With the SMS-to-Speech or Text-to-Speech functions, you can keep up with your text messages and e-mails without taking your eyes of the road. 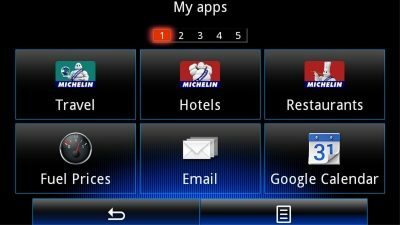 R-LINK® Store offers you apps that have been specifically designed for use in your Renault TALISMAN. You can access them on your R-LINK 2 tablet or your home PC, via your MY Renault space.Benefit from a year-long free access to map updates via R-Link® store and/or my Renault, using a USB dongle. The image is for illustrative purpose only . Factory loaded apps depending on region. Subsequent apps download requires a local service provider offering connected services. Take advantage of the numerous features grouped by theme. Click on the "Navigation" icon to find the maps. Listen to music from your mobile device or access your photos and videos by clicking on "Multimedia". Make hands-free calls using Bluetooth® and enable the system's text-to-speech feature in the "Telephone" section. Change the settings and configure your driver assistance systems in the "Vehicle" section. Finally, follow the "Applications" icon to access application management settings. Enjoy life on-board Renault TALISMAN. 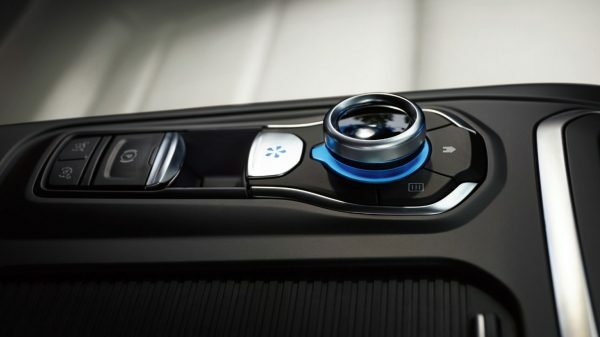 The car comes with the latest technological innovations, offering you unrivalled well-being. Parallel parking? Let the Easy Park Assist Pack take control of the steering wheel. It measures the available space and works out your line of approach. All you have to do is manage the accelerator, brakes and gears. With front, rear and side sensors plus a rear-view camera, you have all-round, 360° protection against impacts with obstacles and other vehicles. 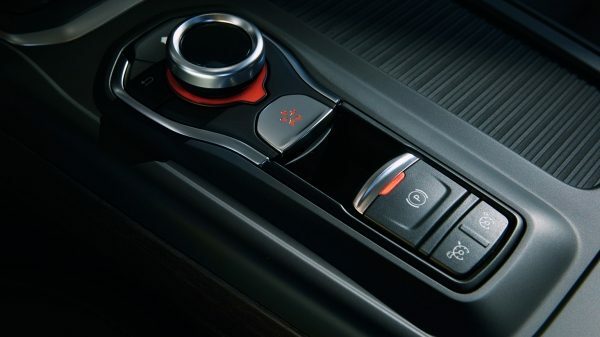 The Renault TALISMAN's new, totally revamped hands-free card offers you innovative features. These include opening the car with your hands full and the possibility of activating a welcome scenario.To start the car, no need to insert the key. All you need to do is to hold down the brake pedal whilst pressing the "Start" button. The vehicle locks automatically when you walk away from it. An audible signal confirms that the doors are locked. Automatic trunk opening with detection of foot movement under the rear bumper. Hands-free convenience. The electronic variable damping system adjusts the behaviour of the suspension in accordance with the driving mode you chose. 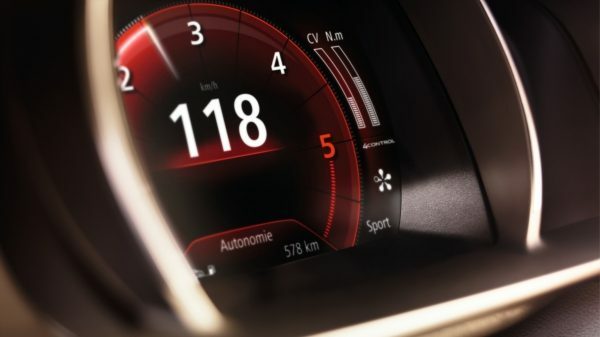 The system constantly analyses the condition of the road, your speed, the angle of the wheels and the pressure on the brake pedal in order to remain consistent with the mode you selected. The retractable head-up display in full colour and high resolution allows for improved safety and comfort. 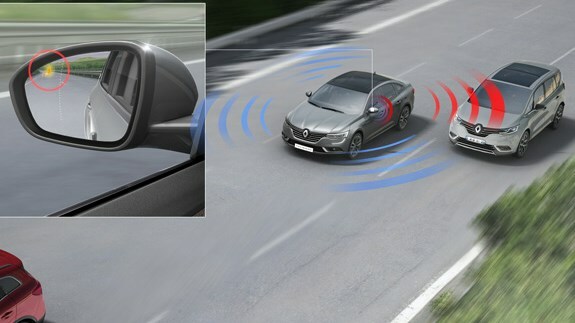 The main driving information is displayed in the driver’s primary field of vision. Relax. 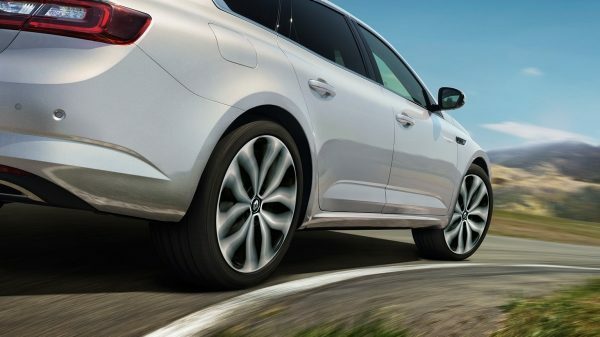 Rest assured, Renault TALISMAN protects you. 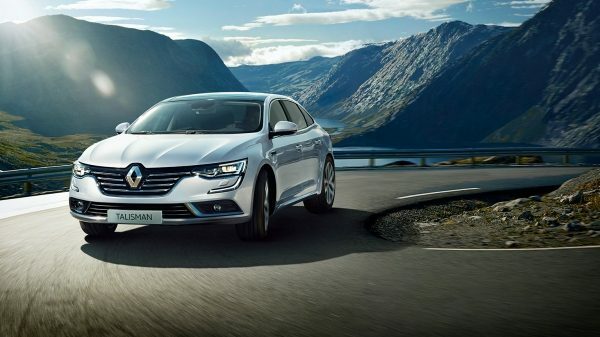 Based on evaluation of the vehicle in four areas – adult occupant protection, child occupant protection, pedestrian protection and safety assist technologies – the EURONCAP test is the benchmark for vehicle safety in Europe The Renault TALISMAN has been awarded 5 stars – the top rating. 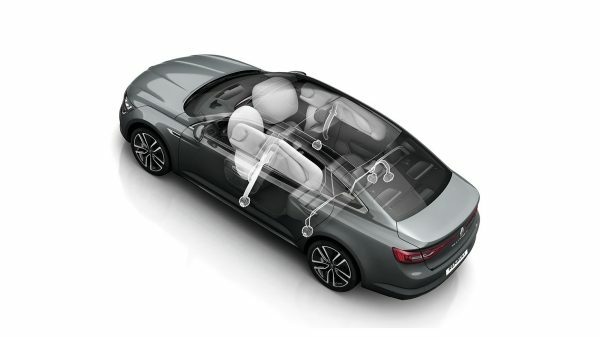 Our engineers have designed the best active and passive security equipment for you: airbags, seat belt pre-tensioners, bumpers and bonnet adapted to mitigate pedestrian collisions, highly-developed driving aid and assistance systems. Drive with greater peace of mind! 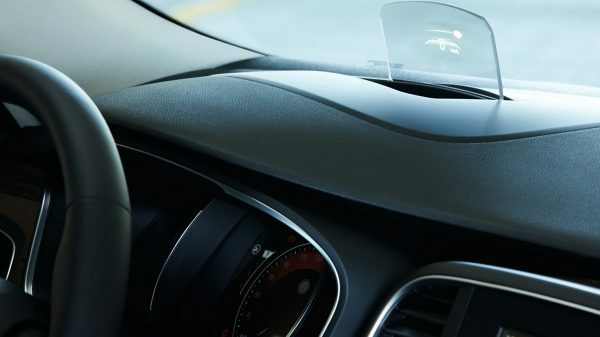 When you switch on your indicators, the system detects any vehicles entering your blind spot thanks to sensors fitted on each side of the bumpers. Indicator lights on the door mirrors of your Renault TALISMAN warn you of the danger. No sweat! To make your life even easier, the Renault TALISMAN comes with a system that prevents you from rolling backward or stalling on hill starts. 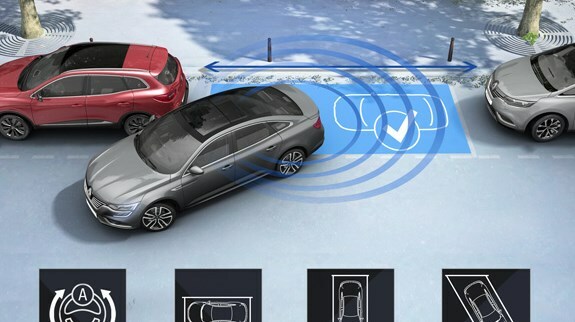 Once a sensor has detected the angle of the slope, your Renault TALISMAN is held steady for two seconds, leaving you the time to move off smoothly. The image is for illustrative purpose only. Exterior colour and wheel design need not be the same. 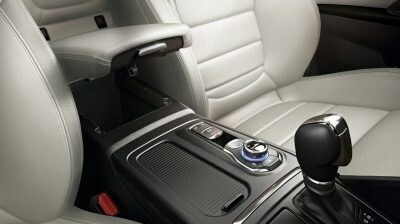 Feel reassured with the electric parking brake that engages automatically once the engine is switched off. It can also be engaged/disengaged with the sleek button.